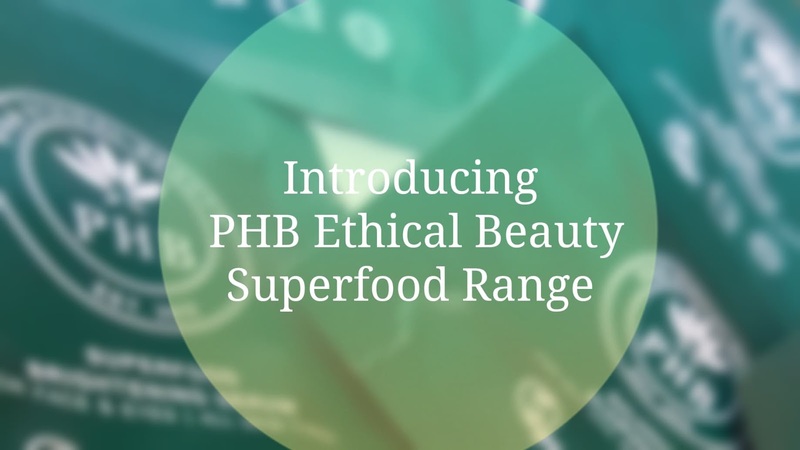 PHB Ethical Beauty is an ethical makeup and skincare brand that I have been using for a couple years now, and when I heard that they had a new selection of superfood products in the works I was really excited to see what they cooked up. Well, all of the tonics, oils, cleansers, and other green goodies have now launched, and I have to say I am beyond impressed! 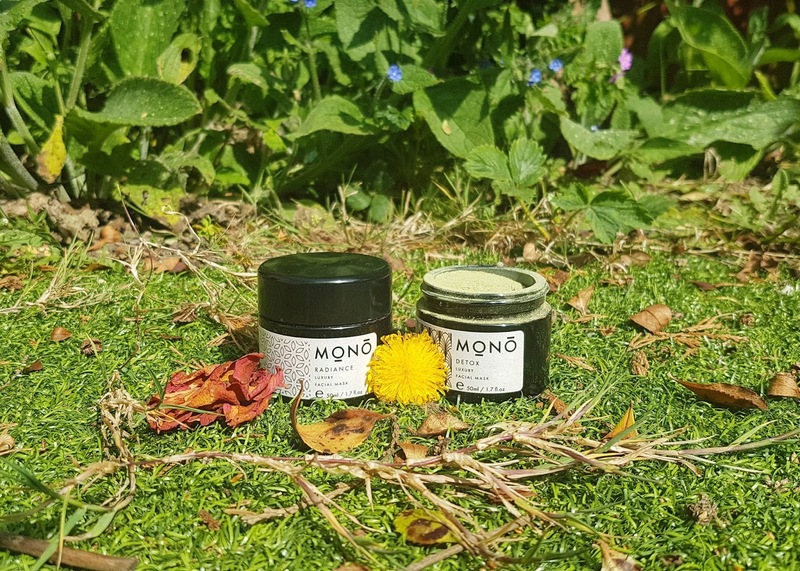 Not only have PHB created an entirely new Superfood Range and Bio-Gels, but they have reformulated their previous Gentle and Balance products to represent the new and improved look. What's the new look? Well, for starters you can wave goodbye to all the plastic bottles that were used before! Instead, PHB have opted to introduce more eco-friendly packaging -- their main skincare line is now housed in beautiful frosted glass bottles, and the new body and hair care items are within eco-conscious recyclable tubes. Not only do these containers look far more luxe, they are better for the planet, so I applaud the brand for these updates. While some customers may be worried that their line of choice is no longer available, I can assure everyone that PHB's range change is actually full of products that are even more targeted than before. Not only are there formulas available for all skin types, there are even ones that are specially made to address eczema, stretch marks, scarring, and pigmentation. Plus, each product has a higher content of organic certified ingredients! 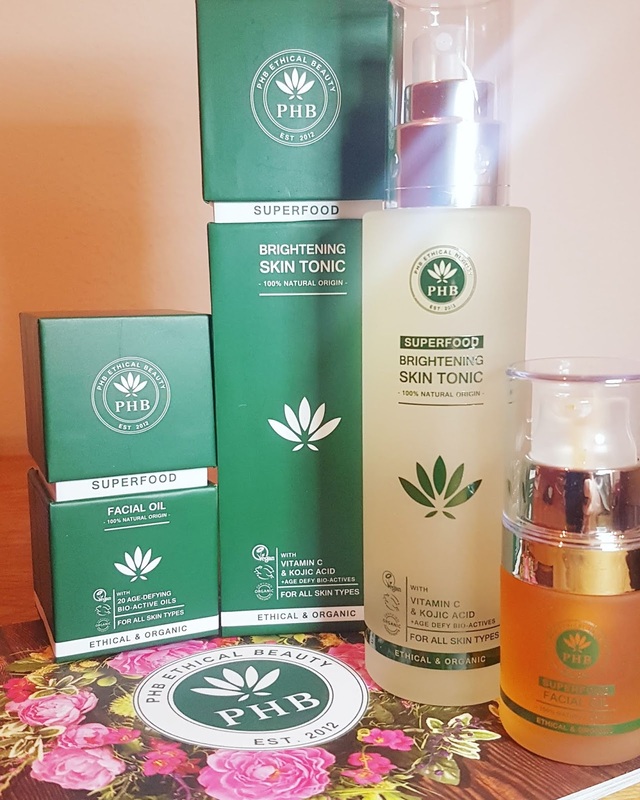 Since my skin is fairly sensitive, I thought I would be interesting to test out a few different products from PHB's newly launched skincare line, including the Superfood Facial Oil and the Superfood Brightening Skin Tonic. 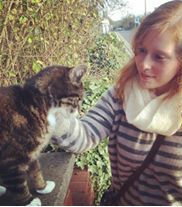 That way, I could share how each interacted with my face and perhaps give all you eco-lovelies a better idea of what to expect. And if something catches your eye, PHB was kind enough to provide a discount code for all of my followers that can be used on any PHB stock -- keep reading to get more information. And now let's dig into the new green goodies from PHB! When PHB reached out to me and asked if I wanted to review an item from their upcoming launch, I was thrilled. I already respected this brand, and as you know many of their products have made it into my favourites for 2018. I decided I would test out one of the items that was clearly a star of the Superfood Range -- the bio-active face oil. PHB did not actually offer a facial oil prior to this launch, so I was really intrigued to see how their first one would work and feel. PHB's Superfood Facial Oil contains "20 potent bio-active ingredients that lift, firm & replenish your skin." The ingredient list includes hydration heroes, brightening extracts, and deeply penetrating oils that work to even the complexion, offer a huge moisture boost, firm the delicate facial skin, and provide a natural glow -- pretty super, right?? My first thought about the Superfood Face Oil from PHB was look at that colour! It is such an eye catching shade of deep orange, and with just a glance you can tell it is going to be very nourishing. One of my favourite things about this is the scent -- it is sweetly fruity, and oh so juicy, with a hint of gentle nuttiness beneath the surface. I can't help but feel uplifted and more cheerful after breathing in this formula. I always take a few seconds before applying to just inhale and enjoy the aroma, and this makes the whole experience all the more "super." The oil is not as thick or viscous as you would expect from looking at it, and it applies really easily, gliding across the skin without any effort. At first it does feel kind of heavy, but after about a minute the oil has fully absorbed and your skin is left with a soft glow rather than being overly shiny. I love using this at night as an overnight moisture treatment, as it really helps rejuvenate my face while I sleep, and has me looking more radiant and healthy in the morning. I was really pleased with PHB's Superfood Facial Oil, and found it softened my skin which during these winter months is especially ideal. While I would suggest this formula is most suited for mature or dry skin, I was happy that despite it containing many rich oils and potent extracts, my skin did not break out or react despite my skin being pretty sensitive and congestion prone. I've started using this as a targeted treatment, applying on the areas of my face that need that boost, and I have loved the results. Ingredients: Carthamus tinctorius (Safflower) seed oil**, Punica granatum (pomegranate) seed oil**, Brassica Oleracea (Broccoli) seed oil**, Rosa rubigiosa, Rosa moschata, Rosa canina (Rosehip) seed oil**, Persea gratissima (Avocado) oil**, Hippophae rhamnoides (Sea Buckthorn) fruit oil**, Citrus grandis (Grapefruit) peel oil, Citrus aurantium dulcis (Orange) peel oil, Vanilla planifolia & Prunus dulcis**, Daucus carota & Sesamum indicum** (Sesame), Citrus aurantium dulcis (Orange Blossom) flower Oil*, Rubus idaeus (Raspberry) seed oil**, Citrus aurantium amara (Petitgrain) leaf oil*, Cananga odorata (Ylang ylang) flower oil*, Curcuma longa (Turmeric) root oil*, Vetiveria zizanoides (Vetiver) root oil*, Helichrysum italicum (Helichrysum) flower oil*, Eugenia caryophyllus (Clove) bud oil*. †Limonene, †Linalool Citral, †Eugenol, †Benzyl benzoate, †Benzyl salicylate, †Farnesol, †Benzyl alcohol, †Isoeugenol, †Benzyl cinnamate. *Organic, **Certified Organic. †Occurs naturally in Essential Oils. I honestly was a bit worried about this one, as the previous PHB toners ended up being too concentrated for my more sensitive skin. I still really enjoyed them, but only as hair tonics and rinses. So I admit I approached the Superfood Brightening Face Tonic with caution. But guess what!? So far so good! My skin has not reacted as it did to the old formulas -- no redness, no sensitivity, no irritation at all! Instead, my skin feels cool and refreshed. 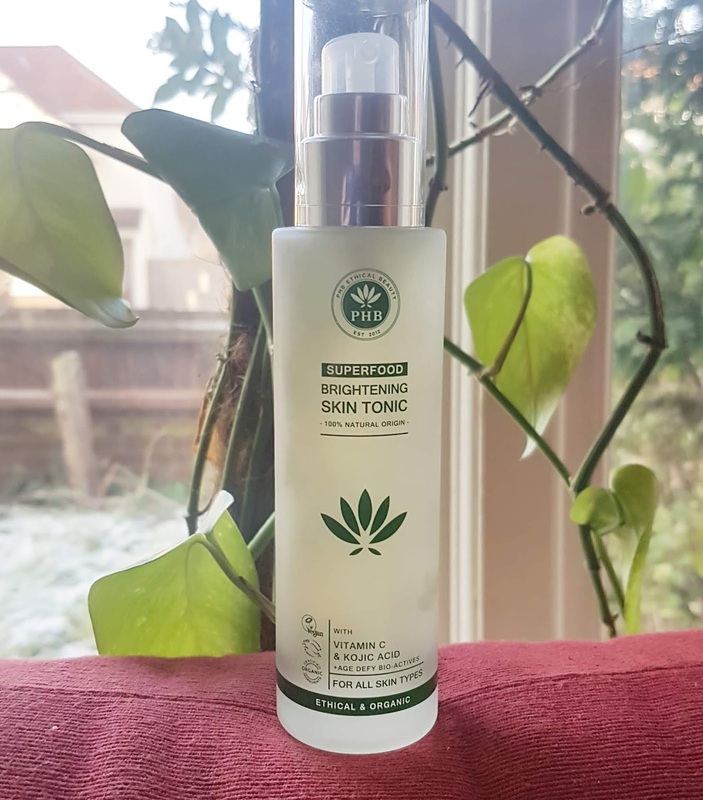 PHB's Superfood Brightening Face Tonic does contain quite a lot of oils and extracts, but the concentration seems to be much better balanced, plus the formula includes aloe vera which is very calming for the skin. The toner has been created to offer a soothing experience that brightens and evens the complexion, targets signs of aging, balances natural oils, tightens pores, and regulates the pH levels. 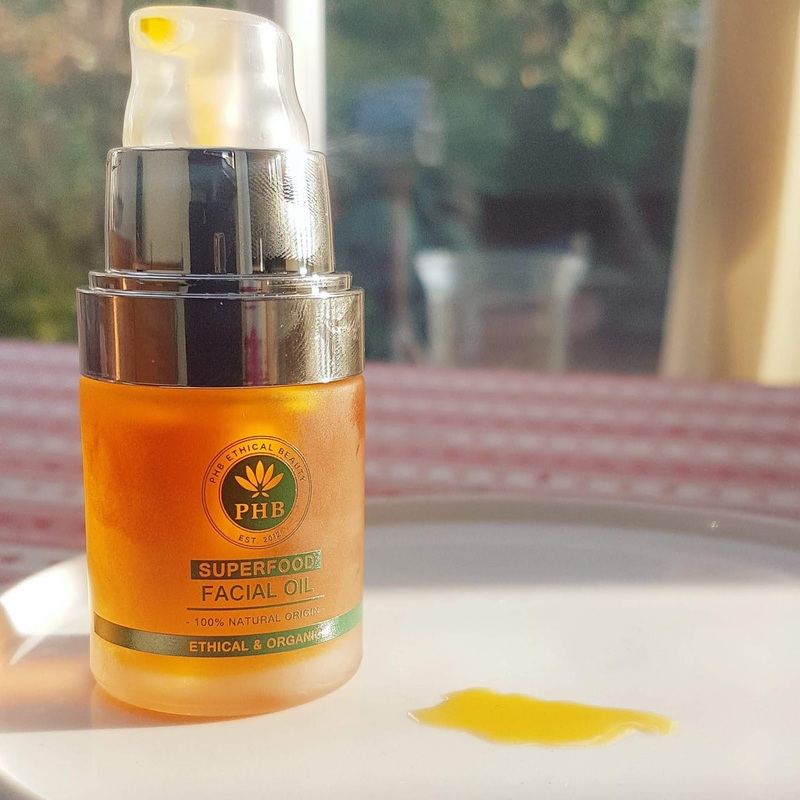 While I can't comment on how the tonic works on age spots or uneven skin tone, I can say that my skin always feel less tight after using PHB's Superfood Brightening spritz. I tend to use it directly after showering, and it helps calm my face and leaves it feeling soft and prepped for my next skincare step. Especially when paired with the Superfood Face Oil, this product helps give a noticeable boost in radiance. The only thing I admit I miss about the old range is that the the previous tonics were able to be sprayed pretty evenly, whereas the new pump comes out like a laser jet. It is a very thin and powerful spritz, so while the instructions say you can spray directly onto skin that is actually really difficult to do without making a mess (or accidentally shooting it directly into your eye... *whoops*). That being said, I have actually been spraying this into the palm of my hands and then applying as I would a cleansing oil, and that has been working really well for me. Unusual, sure, but effective! Ingredients: Aqua, Vegetable glycerin**, Cocomidopropyl betaine, Coco glucoside, Benzyl alcohol, Dehydro acetic Acid, Sorbic acid, Benzoic acid, Aloe barbadensis (aloe leaf) extract**, Camillia sinensis (Green tea) leaf extract*, Glycyrrhiza glabra (Licorice) root extract, Hyaluronic acid, Magnesium Ascorbyl phosphate (Vitamin C), Citrus aurantium dulcis (Neroli) flower Oil*, Citrus aurantium amara (Petitgrain) leaf oil*, Vanilla planifolia fruit extract*, Kojic acid, Citric acid, Citrus grandis (Grapefruit) peel oil*, Sodium phytate, Tocopherol acetate, Rosa canina (Rosehip) seed oil**, Punica granatum (pomegranate) seed oil, Cananga odorata (Ylang ylang) flower oil*, Curcuma longa (Turmeric) root oil*, Vetiveria zizanoides (Vetiver) root oil*, Helichrysum italicum (Immortelle) flower oil*. †Limonene, †Linalool, †Citral, †Eugenol, †Benzyl benzoate, †Benzyl salicylate, †Farnesol, †Benzyl alcohol, †Isoeugenol, †Benzyl cinnamate. *Organic, **Certified Organic. †Occurs naturally in Essential Oils. I was also sent a few samples of the other products recently launched by PHB, and I will be posting a full skincare routine using these sachets (plus sharing my first impressions on them) over on my Instagram stories in the coming weeks. What I can tell you now though is that I am really impressed by just how many products have been released! From a coffee based exfoliating mask that helps dull and tired skin, to a bio-gel "skin perfector" that targets stretch marks, scarring, and redness, PHB has thought of everything. They have even introduced shampoo, conditioner, and multi-purpose gels! If the quality of the Superfood Brightening Skin Tonic and Superfood Facial Oil are anything to go by, I imagine all of these new options will be super powered as well. I am most excited to try out the Skin Shot Coffee Bean Scrub & Mask, as I love anything coffee scented, and find the use of caffeine in skincare really interesting and generally effective at improving circulation. Also, I am hoping to try one of their face washes soon as well, as I am always on the lookout for an eco-friendly rinse to use in the shower on days I just don't have time for a full cleanse. What are you most wanting to try from the new PHB Ethical Beauty range? Are you eyeing up the Balance products, the Gentle formulas, or something from the Superfood series?? I would love to know! Or, if you have tried some already, let me know what you thought! If you're wanting to pick some out for yourself, remember you can get a 15% off discount on PHB's range using ECOL15 -- this discount was provided by PHB for all you eco-lovelies, and is valid until March 31st. Or, if you are placing a large order with Love Lula, you can take advantage of their Gift With Purchase, a free Superfood Facial Oil when you spend £50 on the new PHB range! Love that they are in glass bottles, they would look great on any dressing table. I love many of PHB's products, especially their make up, but I haven't tried anything from their Superfood range yet. It sounds really good though, something for my wishlist!